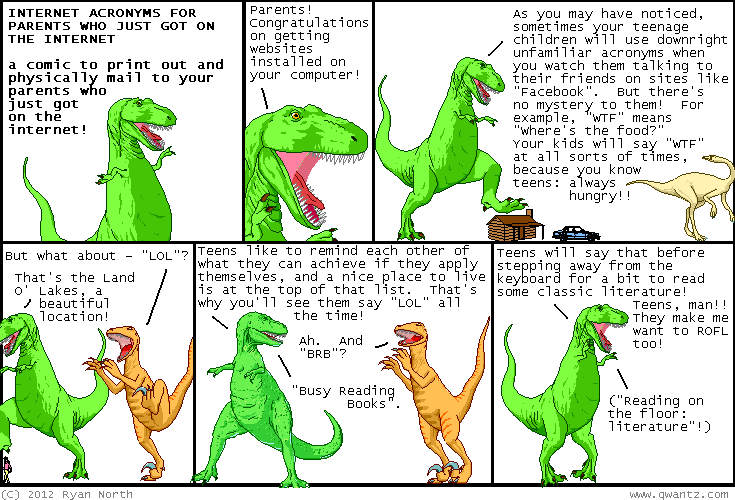 Dinosaur Comics - December 18th, 2012 - awesome fun times! December 18th, 2012: Thank you all for coming to the holiday party last night! We had our greatest turnout ever and it was lots of fun. HOORAY FOR PEOPLE BEING AWESOME, am I right?? 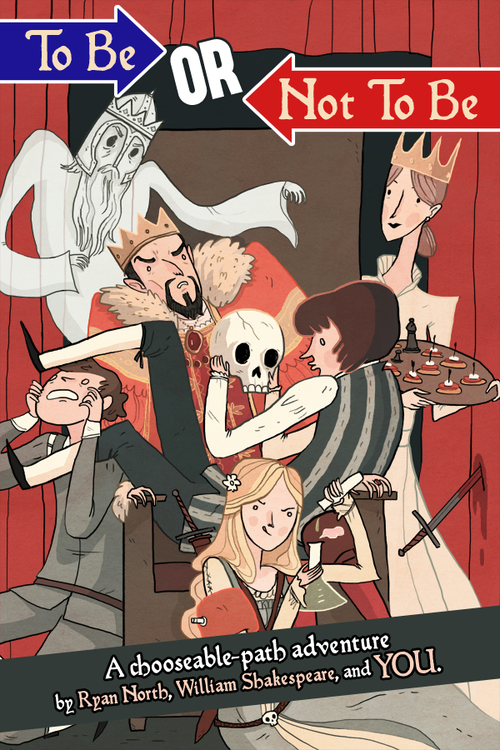 You guys there's less than 3 days left in my Kickstarter for To Be Or Not To Be, my Hamlet book! It makes an awesome gift for yourself OR for someone else: we're sending out ecards before Christmas to people if you're backing at $30 or more. You should probably get on this!